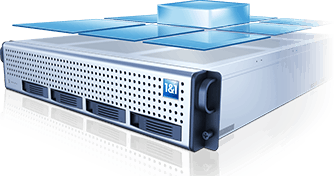 VPS is a dedicated server specifically for your needs. This server will not have other users, so all resources will be given only to your project, which in turn will give maximum performance and space. Virtualization is based on KVM technology, which excludes overselling: the same resource can not be sold twice. Buying virtual hosting, you get a guaranteed amount of RAM and processor time, available to you at any time. All of your data is placed on a RAID10 array of high-performance SSD drives. This allows you to reduce the average download speed of the pages of the site 10 times (up to 0.2 seconds). We provide the best performance for your sites, placing them on industrial servers Super Micro with processors Intel Xeon CPU E5-2630 v4. Manage access to specific accounts. Create separate passwords for specific users using the cPanel, Vesta or Plesk control panels. At any time you can increase or decrease any parameter of your server without losing data and without reconfiguring the system. You can not worry about the safety of your data. Every day, after midnight, they are copied. Any day you can backup files for any of the previous 7 days, if they were available at the time the copy was saved. updating and installation of services / libraries.